Set of 6 Hexagonal packs with 20 incense sticks in each pack. A beautiful combination of lavender, orange blossom and thyme. 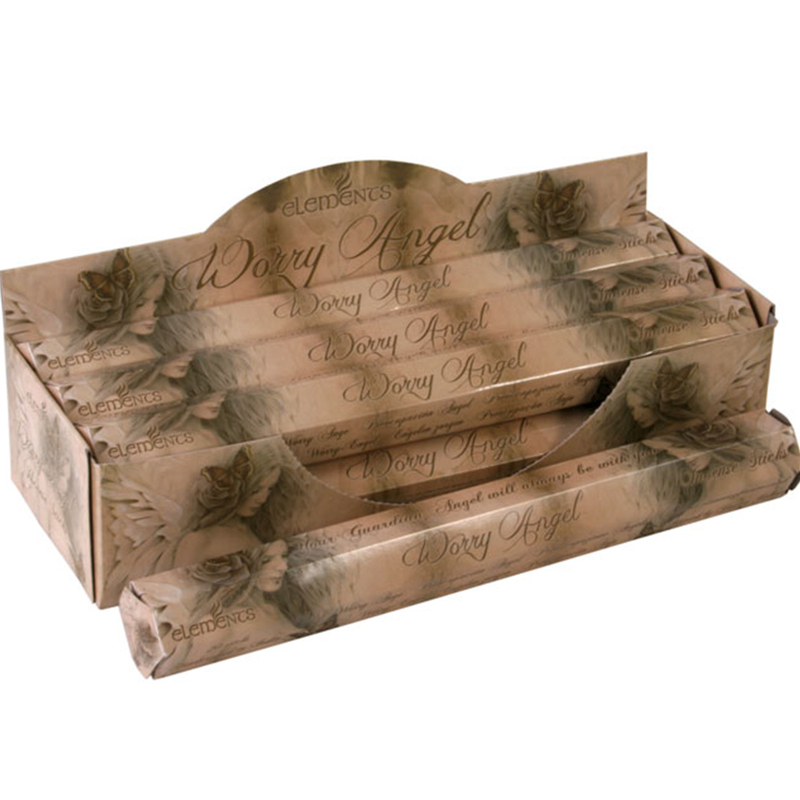 Worry angel incense sticks can be used to help you relax and calm away your worry's. Included: 6 Hexagonal packs with 20 incense sticks in each pack - total 120 incense sticks.